Interesting Facts About William Shakespeare: There are many mysteries that surround the life of William Shakespeare – some are based on facts and some are based on fiction. The following is the list which enumerates on certain aspects of William Shakespeare’s life which shall amuse everyone. No one knows the actual birthday of Shakespeare! April 23rd has been generally used – the same day as St. George’s Day, the Patron Saint of England There is no certainty that Shakespeare was born on April 23 in 1564, only that he was baptized three days later in Holy Trinity Church in Stratford-upon-Avon. 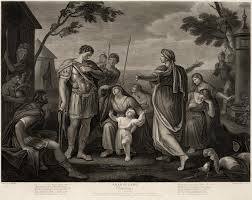 John Shakespeare, William’s father was a money lender and a tanner. He was accused of taking high-interest rates of 20%-25%. His mother Mary was a daughter of a wealthy farmer named Robert Arden. 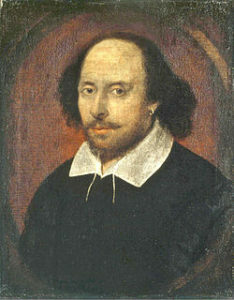 We do not really know what Shakespeare looked like/ No portraits were painted of Shakespeare whilst he was still alive. There are only two authentic portraits of Shakespeare, one is the engraving of William Shakespeare by Martin Droeshout which was first published on the cover page of the 1623 First Folio and the statue of the great dramatist at Stratford’s Holy Trinity Church in Stratford. His portraits were not drawn when he was alive. 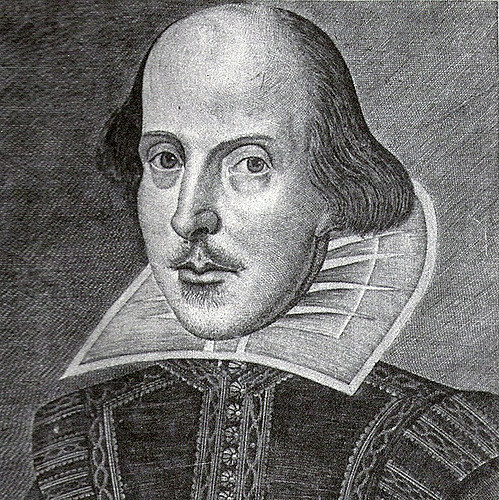 The majority of the plays of William Shakespeare were only published seven years after his death in a collection of works called the First Folio. 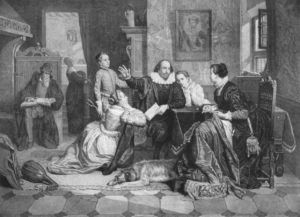 Shakespeare and his wife, Anne Hathaway, had three children: Susanna, born in 1583, and twins Judith and Hamnet, born in 1585. Some believe that Hamlet, written in 1599, registers Shakespeare’s grief following the death of Hamnet, his boy twin, in 1596, at the age of 11. In King John, written around 1596, Constance is also deeply poignant as she anticipates her young son’s death William Shakespeare’s three children, Judith, Susanna, and Hamnet were all illiterate. Many of William Shakespeare life facts are unknown – these years are referred to as the ‘Lost Years’. In the Middle East, where the myth survives that Shakespeare was, in fact, an Arab, he is still sometimes fondly referred to as Sheikh al-Zubair, meaning Sheikh ‘Prickly Pear’ in Arabic. For centuries, English literary critics tried to disguise the fact that Shakespeare’s sonnets were addressed to a male beloved, but the jury is still out as to whether readers in his own day would have been shocked. In any event, no trace of an offended reader survives from Shakespeare’s lifetime.